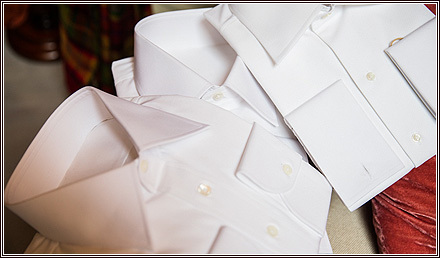 White shirts are the most versatile piece of clothing in any wardrobe. Dress them up or down they are like a blank canvas that allows you to team anything with them. In Clifford Street we have a number of whites perfect for everyday business to something for a special occasion. The first comes in a classic and slim fit while the latter in a classic fit. The stich work and quality of the make is something that we have gone to great lengths with. Other aspects worth noting are the classic collar which, based on a semi cutaway, are a little deeper as reminiscent of the Gary Cooper era. The collar shape also sits well with any of our jackets. 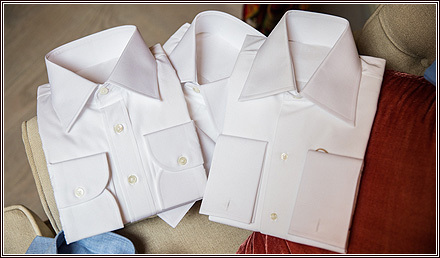 Evening shirts are also available – each with Marcella bib and intricate mother of pearl buttons to the fronts.